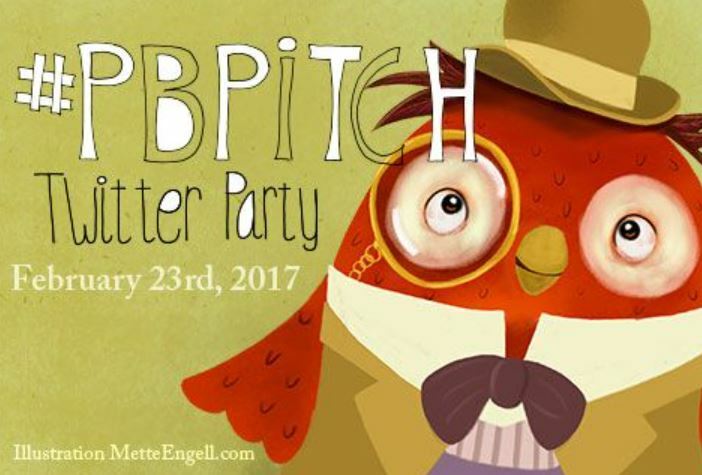 #PBPitch Twitter Contest is Tomorrow! It’s not often picture books get included in twitter contest’s where agents participate to sign a new client, but this one is all about them! If you write or illustrate picture books, mark this event on your calendar. Writers may pitch only twice during the event for each manuscript: once in the morning and once in the evening. This keeps the feed from getting congested. Plus, agents won’t exhaust from reading repeat pitches and ditch the party! To be clear, the contest starts on June 16, 2016 from 8am-8pm EST. Be sure to include the hashtag #PBPitch in your 140 characters. If your an illustrator/writer be sure and attach one illustration to your COMPLETED manuscript. For all information regarding PBPitch, FAQs, and even a fantastic list of agents who represent picture books, go to the PBPitch website. Hurray, a twitter pitch contest for picture books only! You read that correctly, PICTURE BOOKS ONLY. Use the twitter hashtag #PBPitch on February 11, 2016. If you are an illustrator, you can attach an image to the pitch. And please note you can only pitch twice: once before 2pm and once after. (I’m sorry but the host hasn’t specified if this is EST, or another.) For complete guidelines, check out the PBPitch blog. Check out the agents and editors that will be participating!